A few weeks ago, the collaborator of a local TV station discovered some junk in a room of the Casale complex, in Matera. Among them, desks and office chairs; construction materials; empty bottles and cans; and conference materials, like flyers and posters. The complex hosted, for most of 2014, the world’s first unMonastery, a hacker residency project tied to the city’s victorious bid for the title of European capital of culture in 2019. The reporter decided this was an “affair”: the unMonastery affair. Foreigners come to Matera to dump their garbage! Shame on them! I am a partner and co-director of Edgeryders, the social enterprise that helped mount the Matera unMonastery iteration. I know the project well, and I know the unMonasterians who were its life and soul. None would dream of just abandoning waste in an unappropriate place, and some are extreme recyclers and upcyclers. So I asked around, and, sure enough, it turned out that the room in question had been used as cellar since before we first inspected the complex in 2013 (see these pictures – the Dropbox timestamps show they have not been edited in over a year). It is likely that the derelict office furniture has been abandoned by the former occupant of the complex, a company called DataContact. With appropriate irony, DataContact’s owner also owns the local TV that mounted the “affair”. During our tenure of the small part of the complex used for the unMonastery, the same room kept being used as a sort of cellar: a storage space for objects unMonasterians could not or would not recycle, generally with a view to later upcycling them. Like many cellars, it looks untidy, but that is hardly newsworthy. 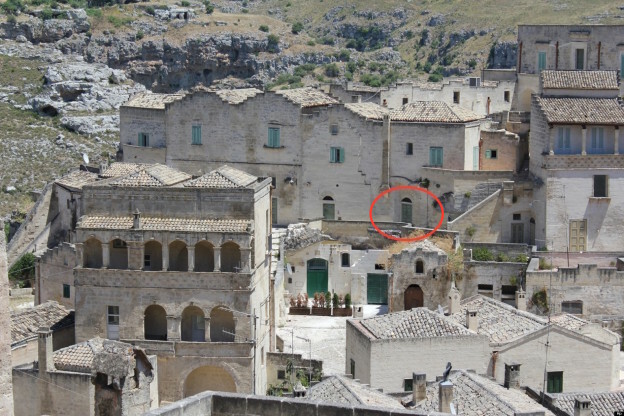 It is also worth noting that the unMonastery project devoted over 50% of its budget (about 40K EUR) to renovating that part of the Casale complex, owned by the City of Matera and hence public property. This meant installing a kitchen; repairing the heating system; renovating the floors, damaged by humidity in the bottom floors; whitewashing the walls; reclaiming the space from some people who were occupying it illegally. The space was returned in way better conditions than we found it. What probably happened: somebody broke the door’s lock before the reporter wandered in, and that allowed him his “scoop”. Case closed. Or is it? There is a lesson to learn here. Why did the obvious scenario (“a windowless room at the bottom floor with junk in it? Must be the cellar”) escaped the local reporter? Why did he not check? Talking with some Materan friends, we made (partly for a laugh), three hypotheses. The absent-minded journalist. Local media need local news, and “foreign hackers pollute Matera” is way sexier than “a cellar containing nothing of value is broken into”. Especially if you are selling ads to make a living, and therefore counting your page views is important. The political conspiracy: Matera has local elections in the spring. The incumbent mayor is heavily associated with the European capital of culture candidacy the “unMonastery affair” is an attempt to erode the consensus enjoyed by the current administration in the aftermath of the ECOC victory. The nil-nil syndrome: Italians, according to my wise friend Annibale D’Elia, do not really care about winning, as long as your adversaries do not win either. In this culture, nil-nil is not a bad result; in fact it is desirable, because it allows the people in question to stage a fight without really fighting, to “change things so that things can stay as they are”, as in the supremely Italian novel The Leopard. In the end, it is of no consequence why some local reporter decided to go for the “unMonastery affair”. What does matter, for this and the future iterations of the unMonastery, is this: the unMonastery wields considerable moral and intellectual authority. We might not want them, but we do not really get a vote in the matter. The smaller and more provincial the host city, the more the unMonastery and individual unMonasterians will be in the public eye. There will be awe; there will be jealousy; whatever its sign, there will be exaggeration. These things will simply happen; it would be wise to be ready for them. From a stewardship point of view, it would be good practice to take time-stamped photo- and video documentation of any public resource the unMonastery is entrusted with. This entry was posted in Hyperlocal, industrie creative e sviluppo, social innovation and tagged unMonastery on 1 February 2015 by Alberto. It turns out crisis-ridden Greece is abuzz with innovation: resistance to bold, radical moves tends to melt away when it becomes clear that business as usual is not an available alternative. Perka, in Thessaloniki, are running a 200-people strong urban gardening operation in an abandoned military base. Anosi, in Volos, have set up an ingenious cut-out-the-middlemen food distribution system; Spithari are building a self-sustaining community “in the middle of nowhere”. There’s more where these came from. I know this because my friend Petros at FreeLab found out. In the early stages of a project called Expedition Freedom, he combed mainland Greece for interesting stories, made contact with the people running these projects, and convinced them to share their experience for the benefit of all. This is a very respectable achievement: it denotes high-grade research skills and prowess at diplomacy in winning their trust over (some Greeks are not feeling overly friendly with respect to research efforts from Europe, as you might expect). This is even more impressive when you think Petros is not Greek and does not speak Greek. You might be forgiven for imagining that Petros is some kind of hotshot development economist. 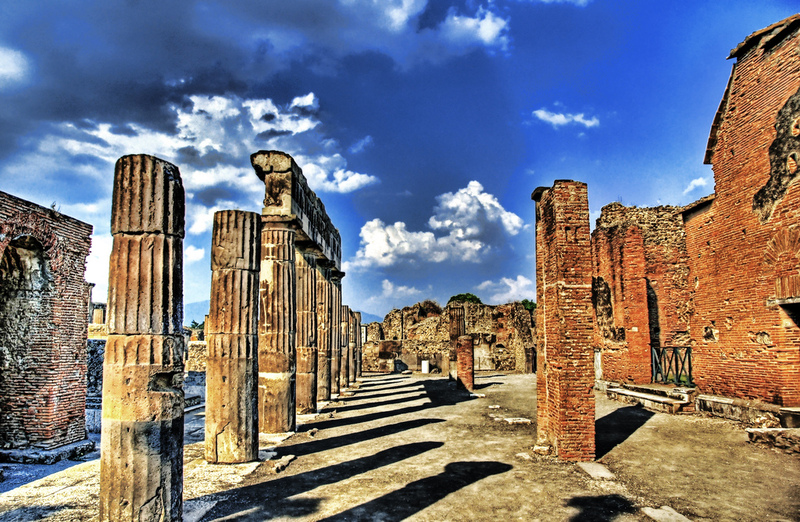 And he is, in deeds – Expedition Freedom is sterling silver economic development, at least as much as “my” OpenPompei project. But he does not work for a government, an international organization such as the World Bank, or a large NGO. A former IT small entrepreneur, when his company went bust and he found himself owning nothing, he decided to become a “full time social contributor – a travelling commoner, anarchopositivist, political writer and homeless activist”. He stood on his own two feet for the first reconnaissance mission of Expedition Freedom, hitch-hiking for more than a thousand kilometers across mainland Greece. He raised some very modest funding for things he could not replace with his own time and work – myself and other people in the Edgeryders community put in a little help in this, buying things off a shopping list he had (the most expensive item was a bus ticket from Greece back to Poland for € 100). What gives? For several years now I have been exploring the fringes of the economy, fascinated by human ingenuity at the edge. I have become convinced that hackers, activists, DIYers are a real force for development – perhaps the only fresh resource we could conceivably deploy after decades of failures and ineffectiveness. If you think of society as an ecosystem, these people are the variation part in the variation-selection engine: they build and unleash into the world strange artifacts like open source software, soft IPRs, 3D printers, cryptocurrencies. Like pioneer species, most of these innovations will go extinct. But some will colonize the economy, and shape the world we will all live in tomorrow. It is really important for any self-respecting government to engage with them; and yet, they seem to live in a blind spot of pretty much any official or credentialed expert I ever talked to. Petros, however, knows they are important. He can find them and engage them. Make no mistake: this is public policy at work – except for coming from an unexpected direction. It is aimed at the common good (distill and circulate the practical knowledge for bottom-up innovation to thrive); it is guided by a clear vision (seed society with as many robust groups of innovators as possible, and let them compare notes to accelerate adoption of whatever works); it deploys tools off the policy makers’s shelf (research, networking and diplomacy). And it is several orders of magnitude more efficient than anything I have ever seen in the public or corporate sector. Any well-funded government project would hastily declare success even with the results Petros has achieved already. In fact – though I have something of a reputation myself for this kind of work, in some circles – his results on almost zero resources humble me, and prompt me to try and get better at what I do. My takehome point from this story: development policies, traditionally a province of Big Government and Big Nonprofit, are now amenable to being rolled out by networked individuals – with uncanny efficiency. No longer a monopolist, if public policy is to make a meaningful contribution, it needs to enlist people like Petros; not divert them from what they are doing, but helping them to do it, lending it the state’s legitimacy (and maybe a little of its resources). 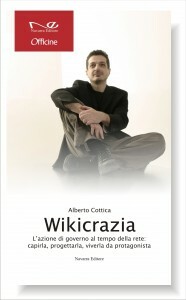 From the point of view of the state, this looks like wielding a fishing rod: thick and rigid at the handle, where full-fledged Weberian bureaucracies interact with cabinet ministers, thin and flexible at the end, where people like Petros engage hackers and innovators as they try to patch together a viable societal model for a crisis-stricken country. The intermediate section of the fishing rod ensure that the policy has the necessary latitude at the end, while still being tightly compliant with regulatory requirements at the handle. Petros might make an unusual ambassador for a state (he would be the first one to say so! ), but hey – we are not mass societies anymore. Better get used to it. Petros is now fundraising for the second phase of Expedition Freedom. This entry was posted in industrie creative e sviluppo, social innovation and tagged Greece, hacking, innovation, regional development on 15 July 2013 by Alberto.